Your one-stop mobile store – Reliable phone shop conveniently located near Hougang, Ang Mo Kio, Sengkang, Punggol, Buangkok and Tampines. Mister Mobile is established since 2010 to bring quality services processes at affordable prices to you. Perfect phone shop for residents who stay in Hougang, Buangkok, Punggol, Sengkang, Tampines, Ang Mo Kio. Bus : Services 43, 43M, 101, 109, 156, 159, 159A, 161, 325, 575, 599, 723, 729. Taxi/Grab/Uber : Alight at the taxi stand. Used Phone trade in – Trade in your used iPhone, Samsung, Huawei, OPPO, Xiaomi, Sony mobile with us at the highest prices in town! New Phone Buyback – Convert your brand new Singtel, Starhub, M1 mobile phones into cash instantly. High trade in prices in Singapore! 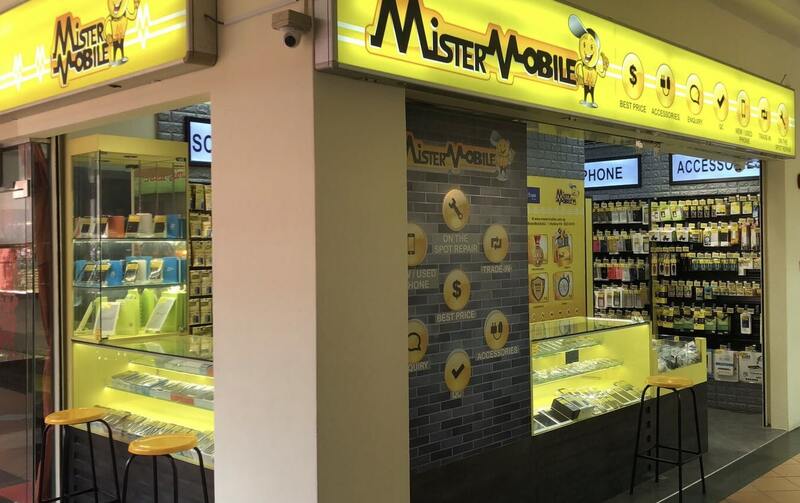 Convenient and safe phone shop for you to deal at Hougang. Professional Phone Repair – Reliable mobile phone repair services for Singapore. We provide on the spot repair for iPhone, Samsung, Huawei, OPPO, Xiaomi, Google, One Plus, and Sony. This is why our service is popular because we provide fast, quality and cheap phone repair! Blog – Have an interest in mobile phone repair and the latest phone model 2019? This is where our blog will bring you all the cool stuff on phone repair such as iPhone battery replacement, Motherboard repair and also water damage repair. Reviews – We pride ourselves for having genuine reviews at Hougang and Geylang branch, with the best phone shop ratings in our area.